Most definitely bagpipes - but this is a rare breed! These are the pipes that Myal made and still plays. 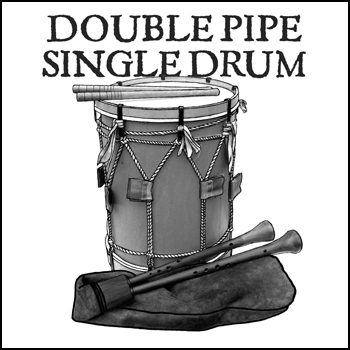 The design inspired by the double chantered bagpipes found pretty much across England but only as carvings in Medieval churches. The pipes weave both melody and harmony into a big vibrant sound and this recording brings them back to life. 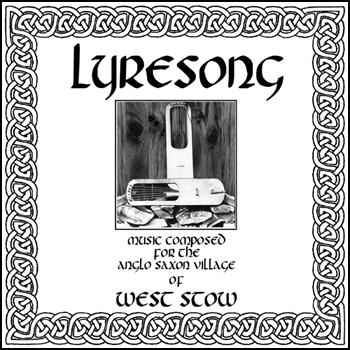 Music inspired and recorded for West Stow Anglo-Saxon village in Suffolk. It features two lyres, a wooden flageolet type whistle and a simple hand drum and is indeed the music you are presently listening to. 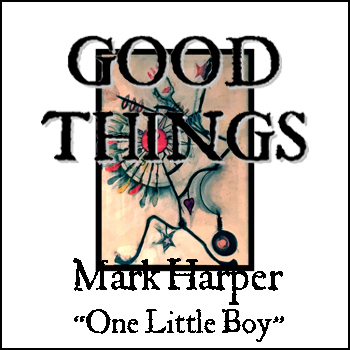 Good Things, Mark Harper "One Little Boy"
Recorded in 2003. 4 years after the road traffic accident that near cost Myal/Mark his life and saw the demise of "Two Little Boys", the duo he had sung and played guitar in and with whom he had gigged extensively over a 5 year period all around the UK and Germany. This CD of 6 original songs includes the title track "Good Things" as used by Tod Todeschini of Tod's Workshop for his short video "Making a Dark Ages Crossbow", which can be seen here. 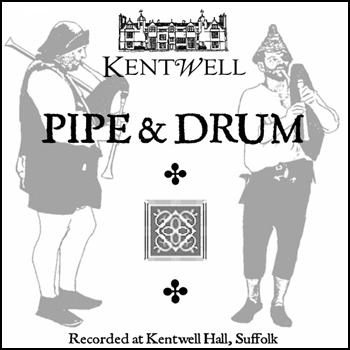 Recorded at Kentwell Hall in Suffolk. Playing mostly music of the period, hear the bagpipes and drums of a Tudor manor, helped in no small way by a hurdy gurdy, two recorders and a player of bones!